Summer. It's my favorite. 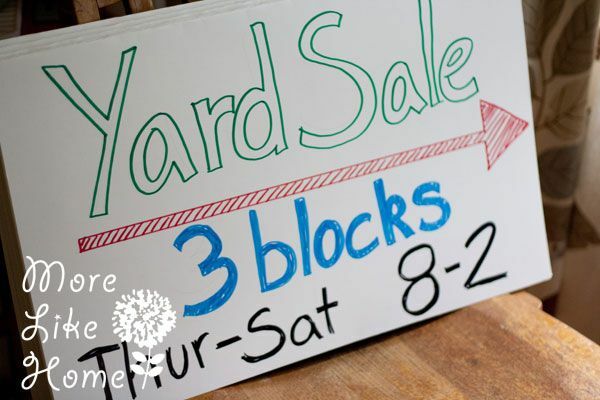 The sun, the heat, the gardening, the swimming, and... the yard sales! I've been shopping (of course) and also held my own sale a couple weeks ago. 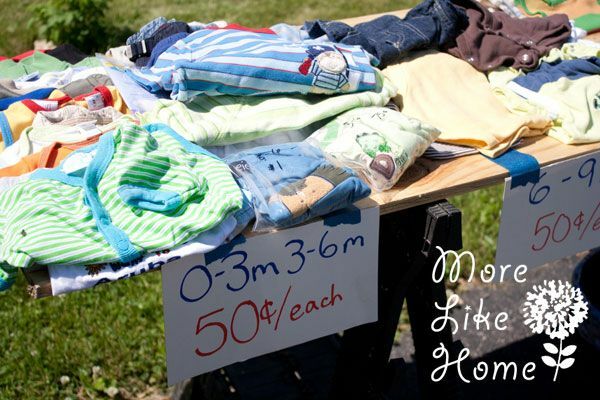 I don't have much new to say, so if you're interested in hearing all my yard sale tips (whether your a shopper or a seller) you can check out my posts here, here, here, and here. 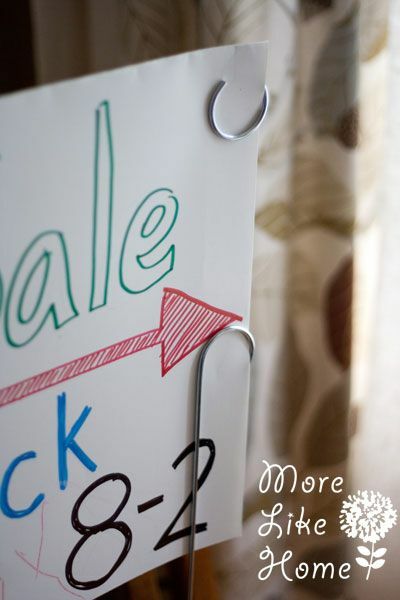 One new thing I found this year was these handy metal sign stakes ($1 each from Lowe's). So much easier to get in the ground than the wooden stakes I used before! I just used some sharpies to make my signs on poster board and clipped them into the stakes. Another important lesson - colored sharpies fade. Fast. Oops. So stick to black sharpies or use paints if you want color! Just like every year, I pulled out all my don't need it/don't want it stuff. And like every year I stepped back and thought to myself "HOW DID I HAVE THIS MUCH EXTRA CRAP IN MY HOUSE?!" Seriously, where was I keeping it all? Topic change - one day I decided I needed cake (normally I don't even like cake!) 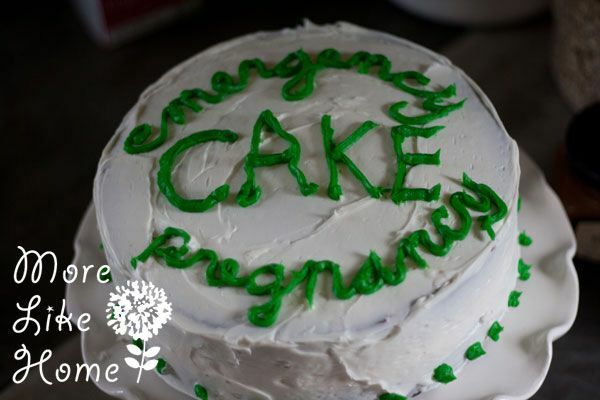 so I made this Emergency Pregnancy Cake. That's a real thing. Trust me. I used this recipe and it was so easy and super yummy! 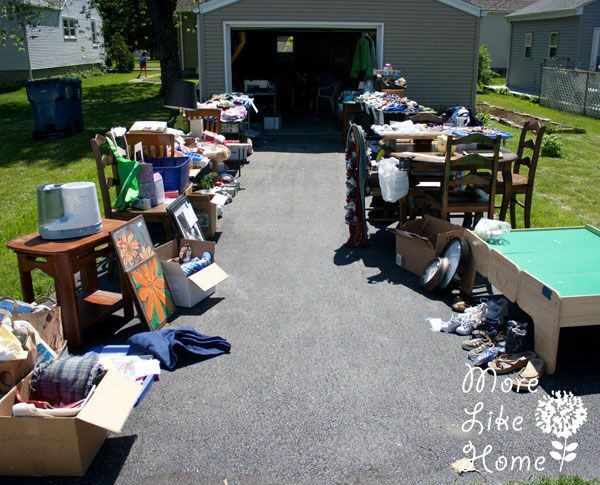 Anybody else having a yard sale this year? Or have any favorite tips & tricks to share? We moved this year, which is the only reason we have enough stuff for a sale. I love going to garage sales but hate holding them -- too much time invested for the money gained -- so after this I will go back to letting stuff accumulate only til there's enough to donate to goodwill. Thanks for the sharpie tip! Beefing Up Our Freezer Stash - Burritos! Black & White Gallery... finally revealed!